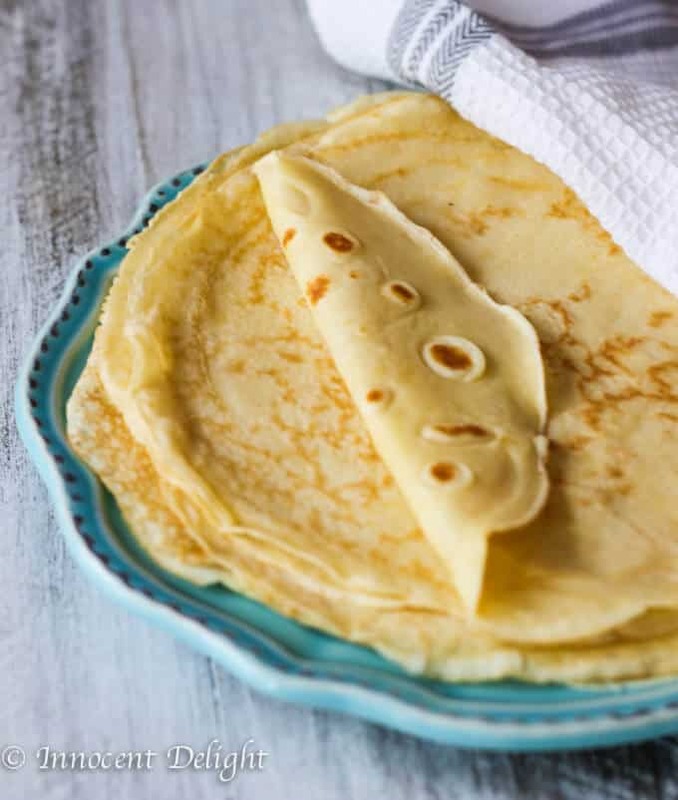 Perfect French Crepes – one of the most popular French street food is not as complicated to make as it may sound. 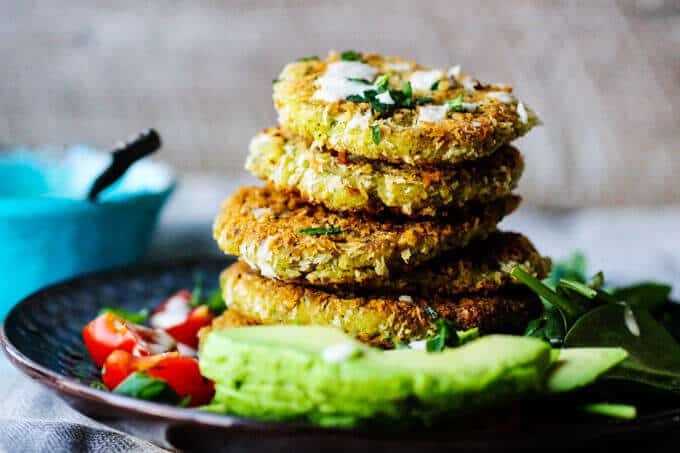 For this easy recipe, blender (affiliate link) does most of the job. This post may contain affiliate links. I get commissions for purchases made through the affiliate links. You can read my disclosure policy HERE. 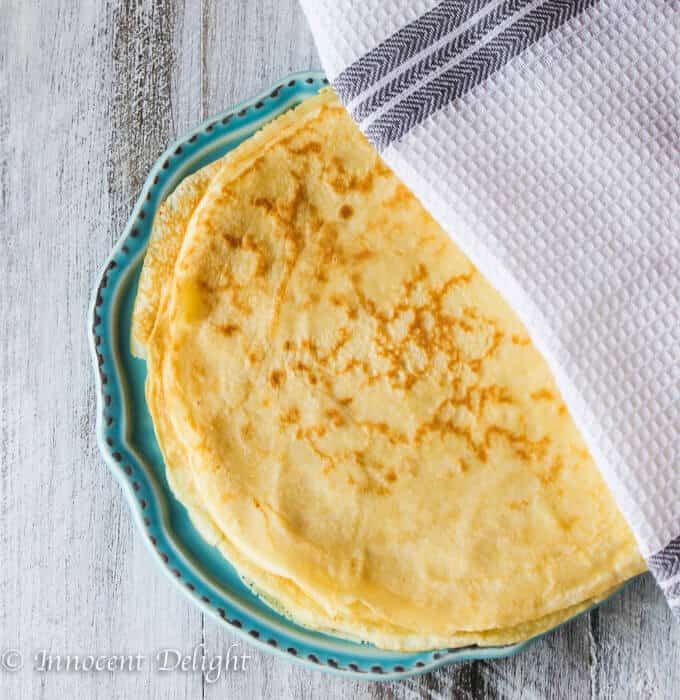 I learned how to make these Perfect French Crepes many moons ago. Right after I graduated my high school and was going to start my Law School in Poland (that’s correct you go straight to law school after high school in Poland for 5 years), I found a job in a kitchen of French bistro. At this time in Poland, it was a pretty fancy place. They were serving a lot of interesting dishes. I was 18 or 19 at that time and I learned some really good, French cooking tricks. One of them was, how to make a Perfect French Crepes. 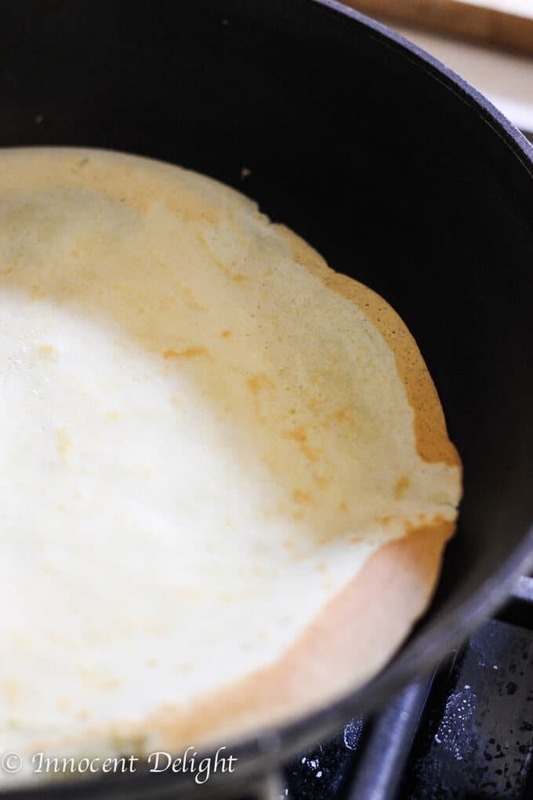 It may feel a little intimidating at first to make crepes but it is not that complicated. The trick is to make a perfect batter. The right proportions are the key. 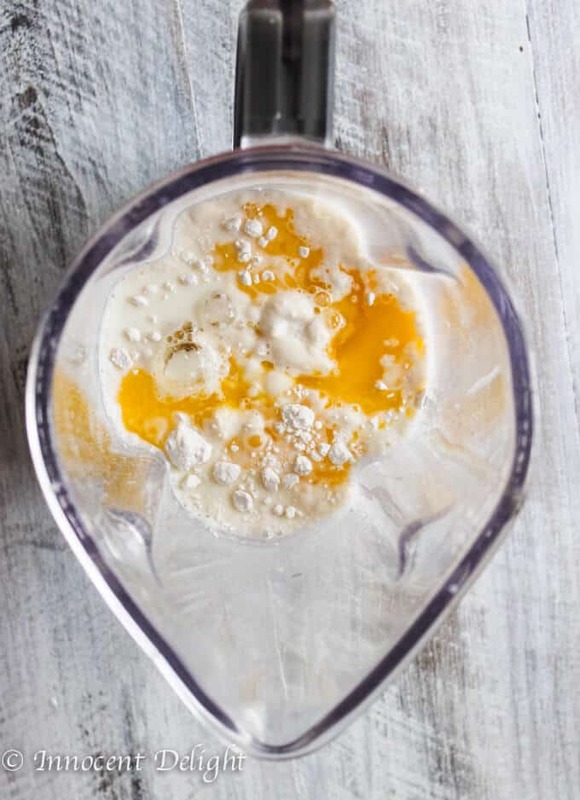 Ideally, you should place the batter in the fridge for about an hour if you want it to have more bubbles and be more flexible. It’s not a necessary step, the crepes will come up great if you start pouring them on the pan right away. The French bistro I worked for, sometimes added beer or sparkling water instead of water. With that much bubbles, the crepes will be definitely more fluffy. 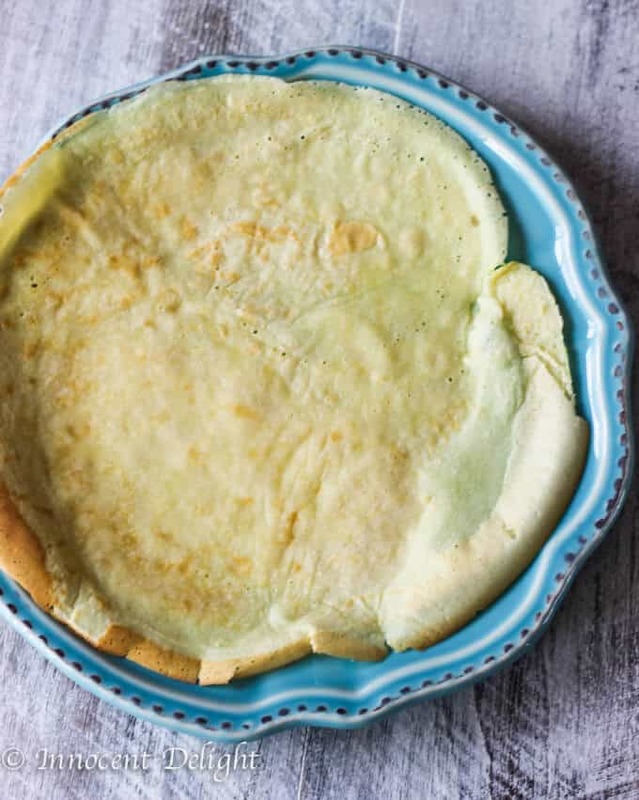 For this recipe, I poured all my basic ingredients into the blender (affiliate link) and start making the crepes right away. 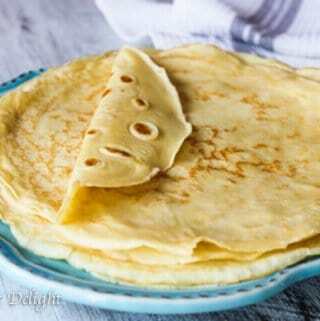 You can add a pinch of salt for savory crepes or 1 to 2 tablespoon of sugar and teaspoon of vanilla extract for a sweet version. I put neither as I wanted to make simple crepes and I actually never add anything because I want my crepes to be universal. Put all your ingredients for the crepes into the blender (affiliate link). Mix it well until smooth. 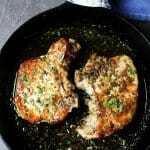 Heat up a pan and brush (affiliate link) some butter on it. 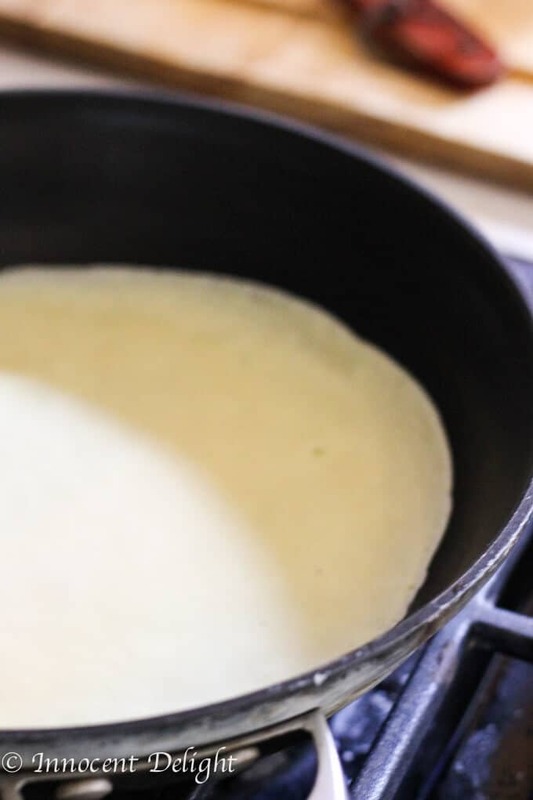 Pour about one ladle (affiliate link) of batter and swirl around until you form round crepe. Let it cook until the edges are coming off when you use spatula around them about 1 minute. Flip the crepe and cook for another minute or two until the bottom is lightly brown. 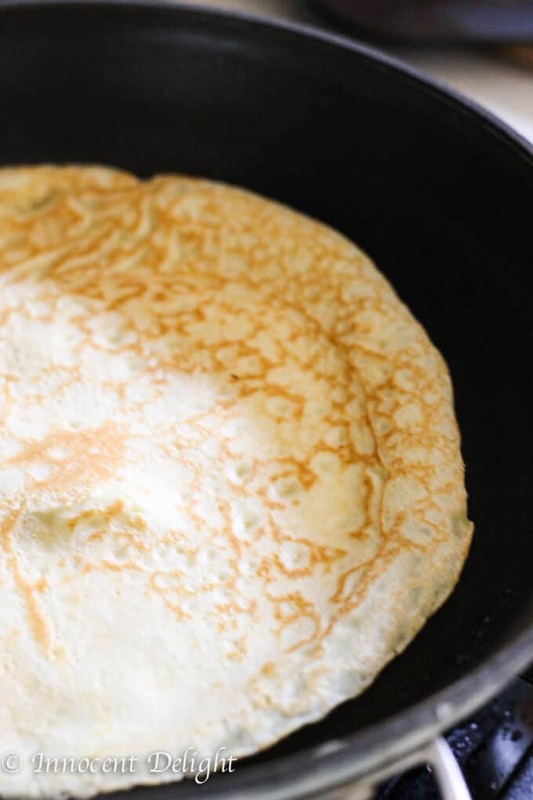 Take the first crepe out of the pan and don’t panic. The first one never comes out well. But the second and the rest will be looking pretty good. So, repeat the process: brash the pan, pour the batter, swirl and let it cook until it easily comes off, flip it and cook for another minute. Take it out and continue until you finish your batter. Whipped cream and strawberries (like on the video)? Possibilities are endless. Go ahead and experiment. 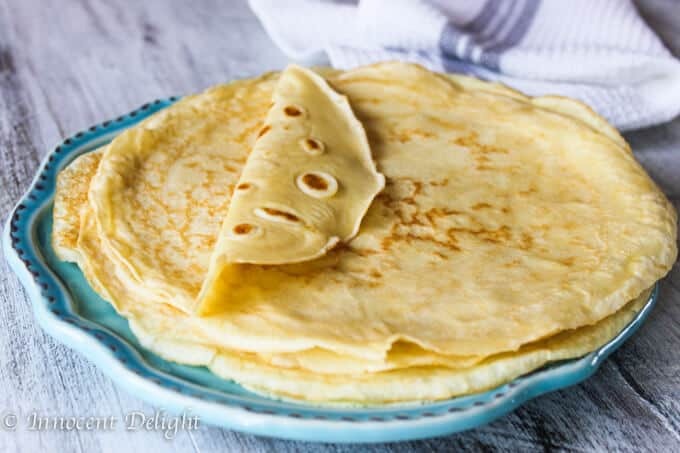 Perfect French Crepes - one of the most popular French street food is not as complicated to make as it may sound. 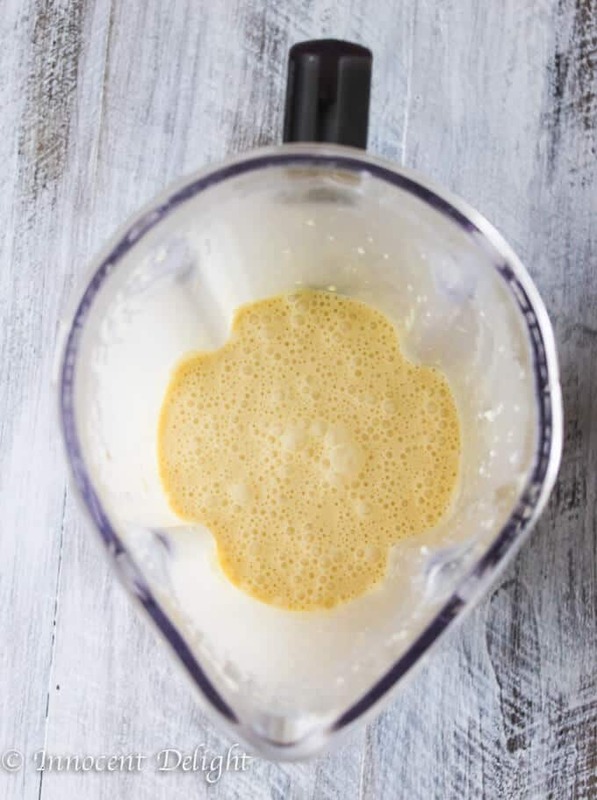 For this easy recipe blender does most of the job. Very easy and delicious, Thanks for sharing. I served mine with fresh blueberries and raspberries and whip cream….YUM! I served mine with brown sugar! These really were perfect crepes! I had never made them before but wanted to do some sweet ones for my husband for father’s day. They were so good. My neighbor said they were better than the ones they’ve had in France. 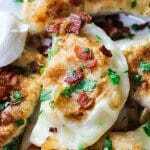 Thank you for this recipe, it’s a keeper for sure! I made the batter exactly as directed, and for some reason they keep turning into lumpy, wet messes on the pan. What am I doing wrong? They should have any lumps if you blend it well. It never happened to me. What pan are you using? what size of crepe pan do you use ?? how hot to fry them at ?? I was using 10inches pan but you can use any pan you have. Try couple of crepes and adjust the amount of batter poured in. How high should the temp of the stove be? Set it on medium and while cooking the crepes adjust if needed (e.g. if they get cook too quickly lower the temp). I wouldn’t go higher then medium heat. 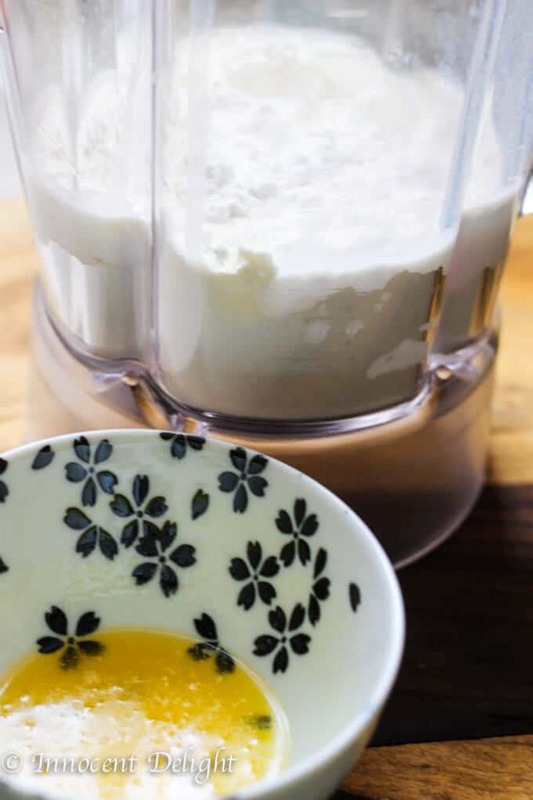 Do your mix in the butter with the rest of the ingredients to mix? Yes, I melted it. Waited a little to cool off and mixed it with the other ingredients. But I wonder, can I use mixer to whip all the ingredients? Absolutely! I used to only use a hand mixer. I just find the blender to be that much easier. then add 8-10 tbs of flour, and mix well. The mass obtained will be something in between 'batter' and 'dough' – not liquid, but not tough ~creamy. This step is made to develop gluten. Your objective is so-called 'gluten window', although I'm not sure it is checked making batter. Put in 3 tbs of melted butter and the rest of milk by portions, not at one time. And sugar and salt the batter as you like. It will seem to be too watery, too liquid to be cooked properly, but believe me it will. 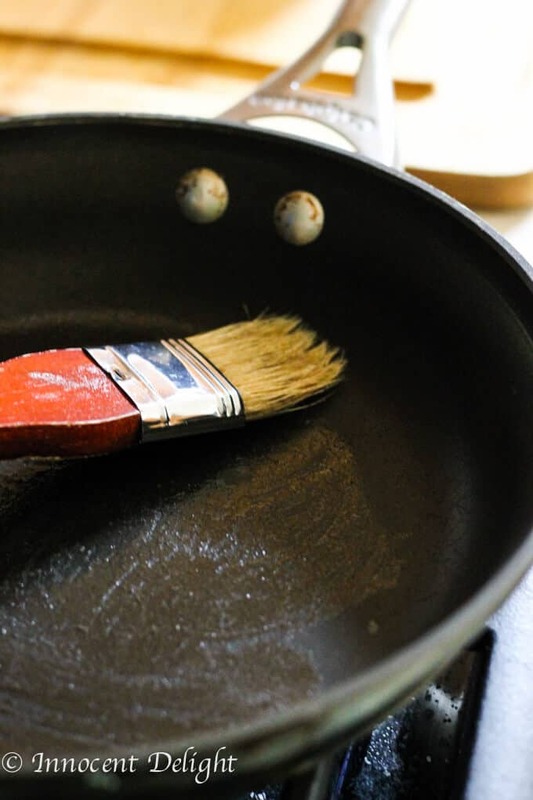 Before pouring the portion of batter into your pan, get trough it with the napkin with a drop of vegetable oil on it. You will need to experiment for some time with the optimal heat for your burner and pan (on my its 7 or 8 out of 9). Pancakes come out very soft, never stick together, are great with many feelings, but especially with caviar. 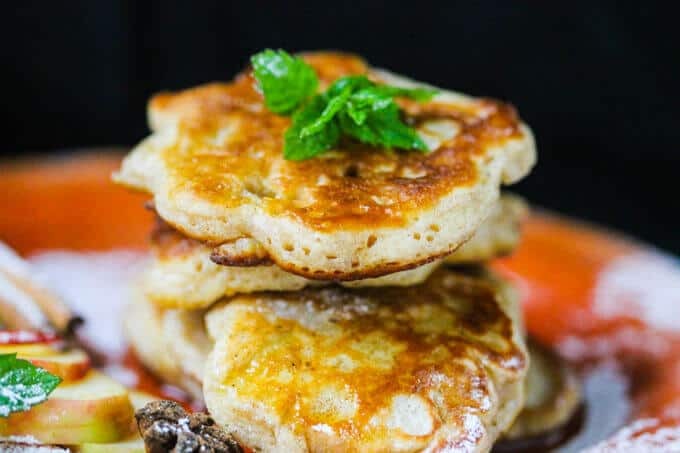 If you want a recipe of russian oladii (~american pancakes, but airy and higher), please write me here. If someone has more info about this dish, please write here as well, I'll be happy to learn something. I have to tell you I make this recipe weekly…today I got my batter ready and popped it in the fridge for the hour. Will the batter be good over night? I can’t seem to find the time to make them this evening. Hi Michelle, to be honest I have never try to keep the batter in a fridge over night. But I would think it should be fine. Try and let me know how it came out. Can you make the crepes ahead of time? Yes, you can. When you want to heat them up, just place for a minute on a hot pan. I have never tried freezing crepes so I cannot tell you how they will be after you defrost them. Hey Skyler, you can absolutely store them overnight. It’s also very easy to heat them up. Just heat up the non stick pan without any fat, place the crepe on it and it will be done in a minute. Very thick, but great texture and workability. 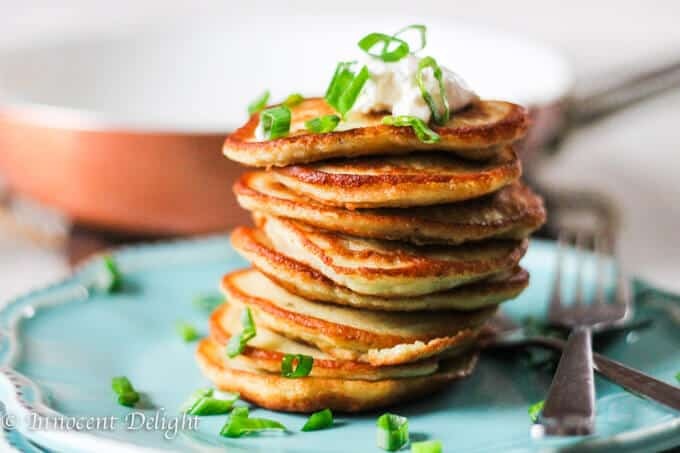 Thanks for the recipe– serving them with banana cream filling this morning! Thank you! I’m sure they were delicious with banana cream filling. Can you refrigerate the mix overnight? Made these for breakfast this morning. DELICIOUS!!!!! Thank you for sharing the recipe! 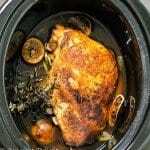 Thank you for the recipe the Kids’s and family loved them !! !